It’s a thing that affects us all, at different times of our lives, in different ways, and stemming from different situations. Though the root cause may be individual, the feelings stress brings are common …sapped energy, unexplained aches and pains, difficulty sleeping, continual headaches, and a lacklustre immune system – which means you may fall for any bug or virus that’s going around. You feel run-down, demotivated and overwhelmed by even the littlest detail. At that stage, there’s a possibility you may need medical intervention and professional help. To help keep your stress manageable, it’s worth making some changes. A little pressure can actually be a positive thing; we can achieve more when our adrenalin is flowing, and it can bring better focus, but like most things in life, it’s all about balance. Stress itself is not necessarily a problem, it is normal and even useful! When adrenaline is pumping around your body and “all systems are go” you often feel as if you can take on the world. It can help you to reach a peak in performance. At Emerge we have many different development solutions and even on those solutions where you wouldn’t normally associate stress being part of the agenda, I can honestly say that it has become a topic which frequently comes up. People want to talk about the elephant in the room and then it is not uncommon to hear them say that they wished they had attended such sessions or spoke openly about things much earlier. Any development is better than none and a platform to openly share their thoughts and experiences in a safe environment certainly helps our participants with searching for their own coping mechanisms. Now let’s talk about doing this sustainably – how are managers and colleagues helping their fellow colleagues with this? Development in this space is crucial. It provides a better understanding of the signs of stress and enables participants to develop skills to effectively deal with stress as and when it occurs. It really is needed at ALL levels. Recently I have experienced a brilliant business leader break down in front of their colleagues at a time when it wasn’t expected. THIS was a clear cry for help and I observed just how difficult this was for a tough-minded and respected leader to share and how this made them feel like they had failed. Many people like to think they do not ‘suffer’ from stress. For them to admit to it is like saying “I cannot cope”, and this gives impressions of weakness and a lack of capability. I’ve also heard people in positions of management suggest that stress is just the modern excuse for getting off work! Just what kind of a shame have we created around this? Such a stigma then becomes something of a façade within the business for what is actually going on and then treated like it’s not happening, isn’t real or, in the worst case, actually looked down upon and sometimes mocked. We need people to share when they are feeling some degree of stress before it gets too much, not shy away from this. We need people managers that are great at helping people to come forward, to share and to feel comfortable to talk and that they will be heard. The environment within which people work must be encouraging that’s its ok to not be ok and that people will be supported, not ridiculed. A failure to help make this happen will only result in trying to convince ourselves and those around us that things are fine…when in fact they are not. The fact is, that at some stage during our lives, we experience varying levels of stress – and most people experience a high-level at some time. If you are responsible for people (notice I didn’t call them employees), you will need to be aware that they may be facing many new experiences and challenges and this brings a very different mindset that is trying to navigate its way through many different pressures. After all, they are people…with deep-rooted thoughts and feelings that occasionally need to be spoken about. 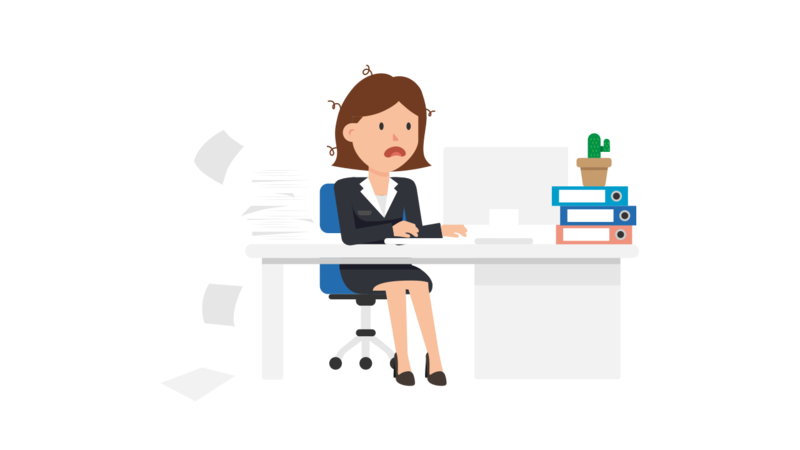 On average 15.4 million working days are lost due to work-related stress, depression or anxiety in 2017/18 according to the UK Government’s Labour Force Survey each year costing UK business £3.8 billion. In addition, more employers are spending time and money defending stress-related claims through the courts. A tribunal awarded £170,000 compensation to a person who was dismissed because of work-related stress. Whatever the true costs of stress, they are too high and we owe it to our people to offer them the right level of support and development to keep them safe and well. April is Stress Awareness Month. During this annual thirty day period, health care professionals and health promotion experts across the country will join forces to increase public awareness about both the causes and cures for our modern stress epidemic. The great work by charities and organisations such as Mind has raised the issue as high as I have ever experienced it in my working life and now is the time to properly equip our colleagues and employees with how to contribute to minimising stress in the workplace and how they can support those who are suffering. Support for your employees through better equipped and capable people managers is just one of many options that organisations have. We also help companies with 1-2-1 coaching to support all levels of leaders with some of their biggest hurdles in work and in life. Call 01329 820580 for more details, or email info@emergeuk.com for further support.